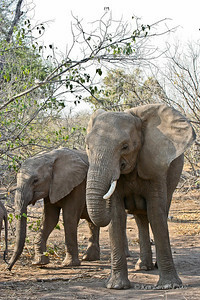 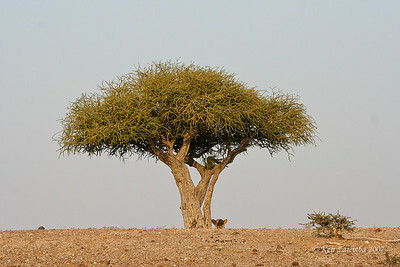 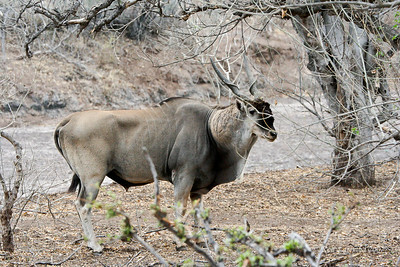 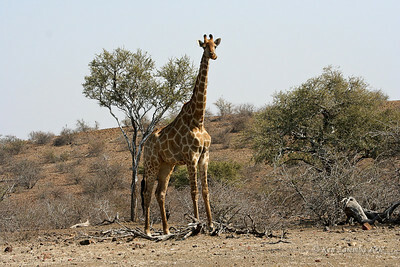 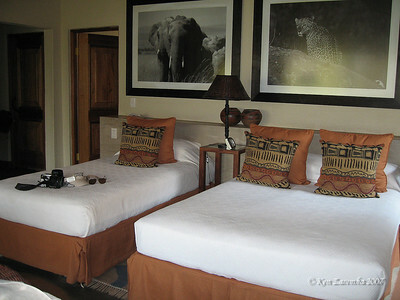 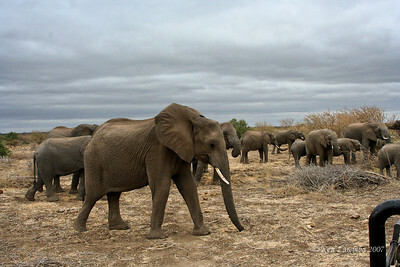 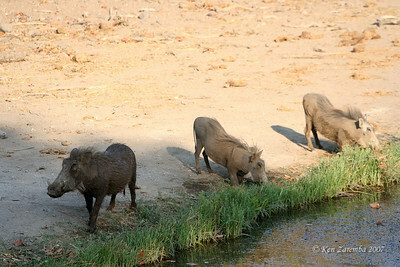 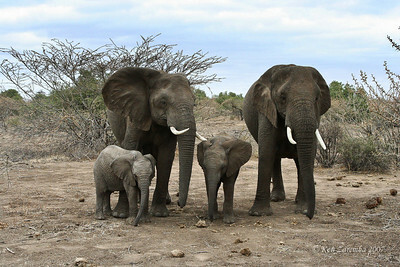 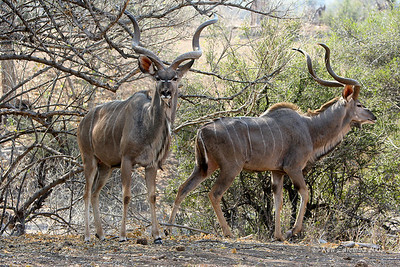 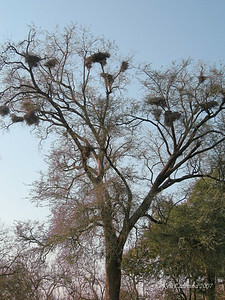 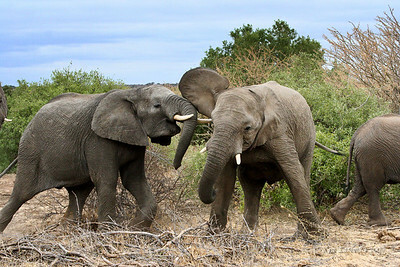 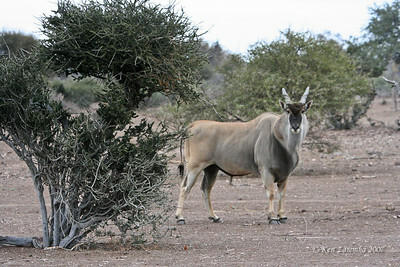 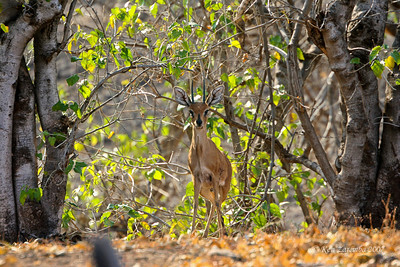 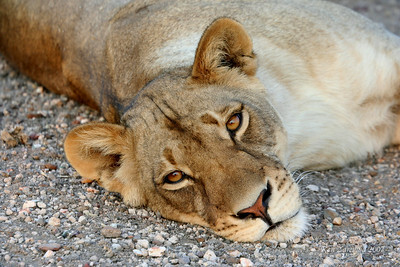 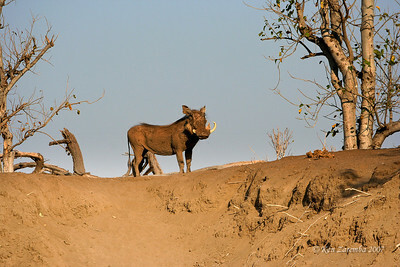 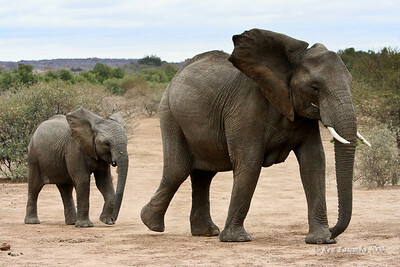 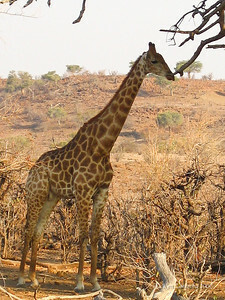 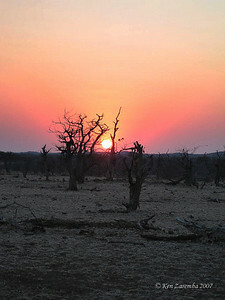 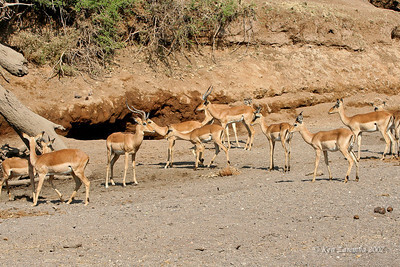 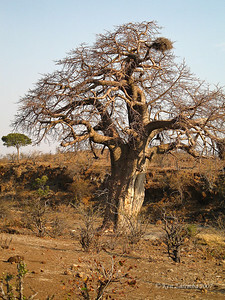 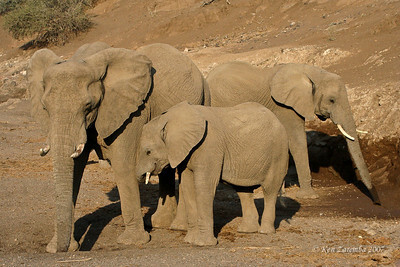 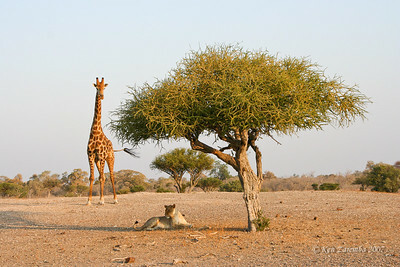 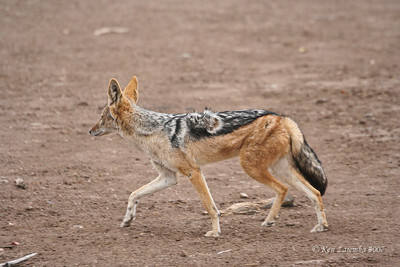 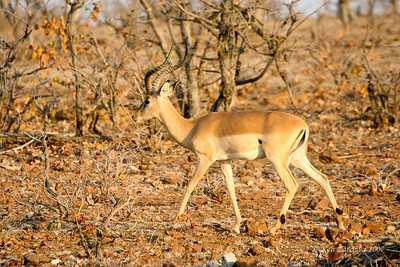 Scenes and wildlife of Mashatu Game Reserve in the far East of Bostwana. 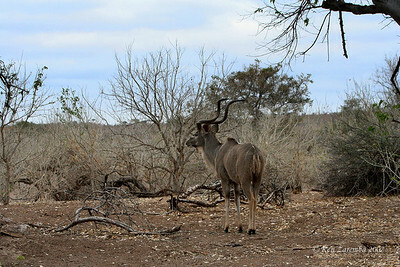 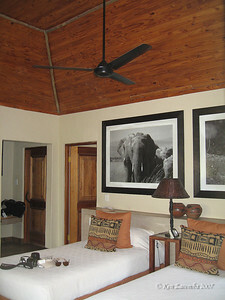 Point of entry/exit for Mashatu Game Reserve. 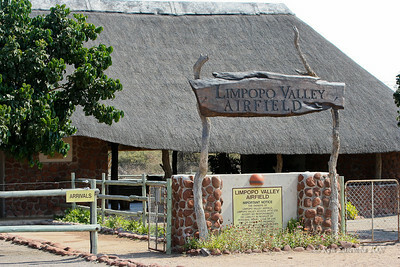 If entering or leaving Botswana by air, clear customs and passpot control here. 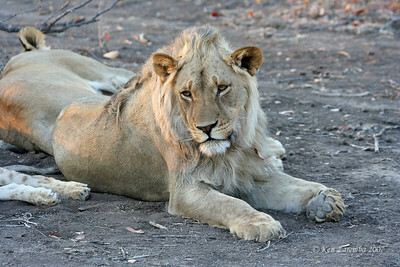 Male lion pondering if these lionesses are ever going to get off their butts and hustle up some dinner. 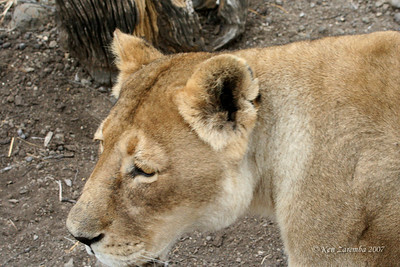 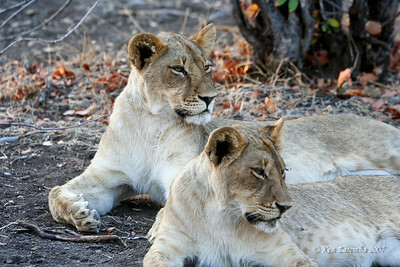 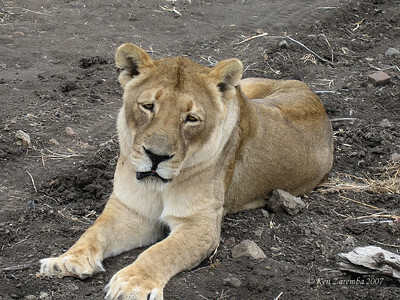 A couple of lionesses laying about and not too concerned about dinner, yet. 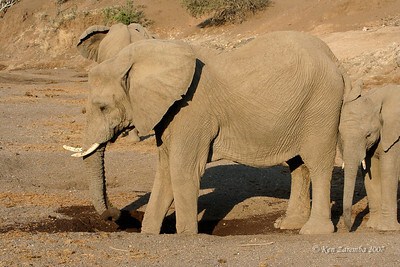 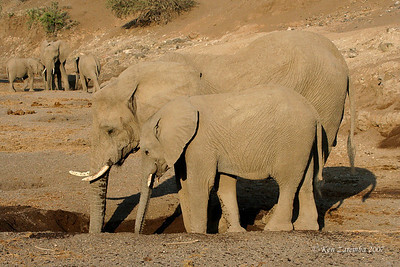 Elephants digging in the river bed trying to locate water. 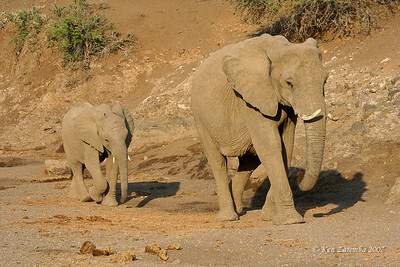 Mother Elephant and child making a meal out of some dry vegetation. 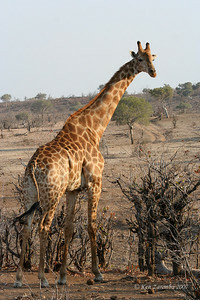 They eat almost any growing vegetation. 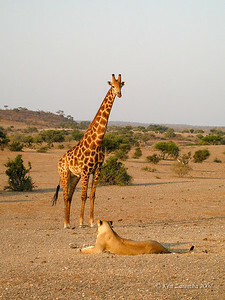 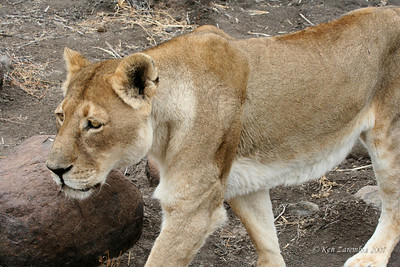 A young male Masai Giraffe, knowing a single Lioness was not a threat, kept harassing the Lioness by approaching her until she was forced to get up and threaten to give chase. 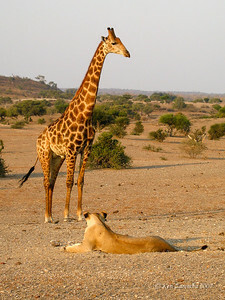 This process went on for some time until the Giraffe became bored with the game and moved on. 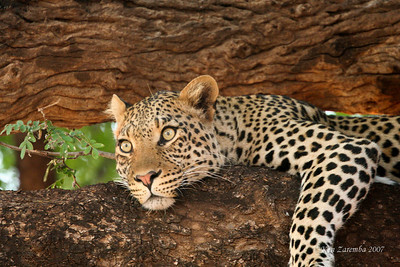 The Leopard is now fully locked in on the disturbance. 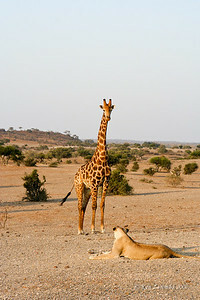 What was it? 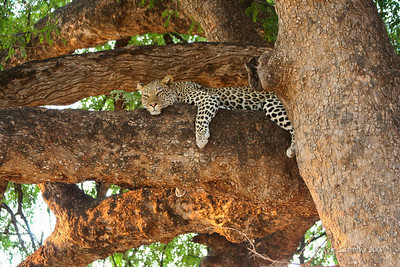 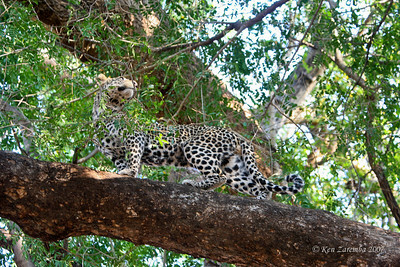 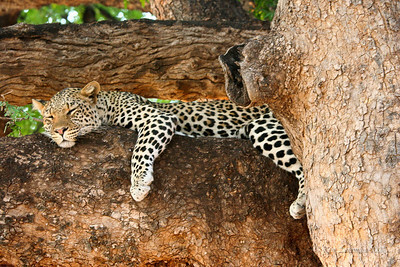 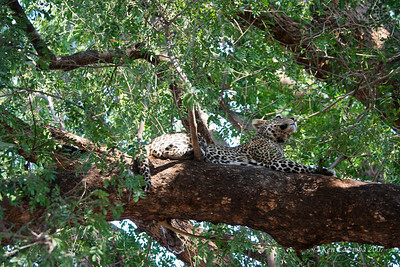 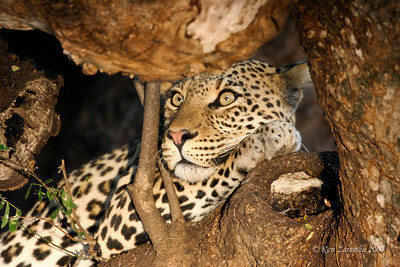 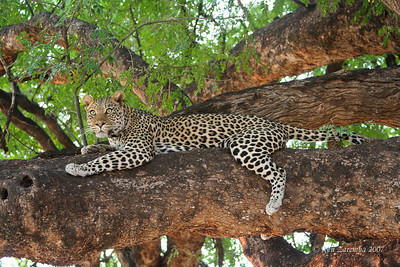 The Leopard has wormed its way it between a couple of large limbs and quietly observes what is happening.